In March 2012, our eldest child flew off alone to Tulsa, Oklahoma (OKLAHOMA!) to interview for a scholarship for the college she REALLY wanted to go to. It was one of the few colleges that made the cut of still believing and upholding the godly standards on which it was founded. As she was a thousand miles away that weekend, I had one of those God moments where I heard His still small voice in my spirit (in the bathroom, but that is beside the point) whisper, “Be ready!” That was it. Be ready. READY FOR WHAT? I wanted to scream…. in fact, I probably did. Of course in my own little control-freak mind I made my list of what I thought I needed to be ready for… or with… or against… or because of… (See? It was pointless!) I prayed up more. I Bible studied harder. I threw myself into money making. I lectured. I bit my tongue. (See? It was pointless!) I should have been focusing on Psalms 46:10, “Be still and know that I am God.” Oh yeah. Right. We knew the cost of school for our sweet girl would cause us to walk the tightrope of faith financially. And we have. And God has shown up. Over and over again. Please let me climb up on my testimony box and shout out some praises for a minute or two… or three, of how God has shown up in the last THREE WEEKS! Corresponding with the northerly visitors, Larisa, our college girl was also coming home for Spring Break with her roommate! WhoooHOooOOooo! Party time! (and you thought the cafeteria food was bad!) I scrubbed the visitor bathroom until it gleamed like Joel Osteen’s teeth. Seriously! The only thing I needed to purchase was a $2 shower liner so I headed off to Bed Bath and Beyond with four hours and $8 to spare! Perfect! Two miles into my three mile adventure, a girl pulled right out in front of me and I t-boned her. This is what I remember: Air bags. Checking if Nora (9 year old) was ok in the seat behind me. Nice strangers who stopped to help. Policemen. Firemen. OH DANG IT DO MY LEGS HURT! My dad coming. ER visit (without my boys… that was rare!). And then I arrived on the yellow couch in the living room 21 days ago. I’m still there. What I am allowed to share is that I am wounded and receiving care. God protected us BIG TIME! (I can walk. I can cry. I can brush my teeth with my left hand. I can type. And I’m really good at taking pills every 4 to 6 hours that may cause dry mouth, chills, panic attacks, anxiety, inability to sit still, seizures, delusions, fainting, itching, slurred speech, etc. etc. etc.) Is THIS what I needed to be ready for? That was a Saturday. The following Monday the Canadians showed up at the doorstep along with the homeschoolers and various other peeps who delivered meals for two straight weeks (and now we’re on an every-other day schedule for two MORE weeks.) Not just pasta dinner. Gourmet chicken with French names and seasoned vegetables that were hoarded by my children. And not just dinner. Breakfast pie showed up. Oranges by the bag full. And pizzas and sandwich meat and fruit bowls and chocolate cake and bagels and cream cheese and whole grain bread that I never buy and potato salad and ice cream sandwiches and milk and ALL the food that was necessary to feed our family and the four visiting guests while $8 sat in our bank account. Maybe THIS was what I needed to be ready for. The van may or may not be totaled. We’ll see. We got a rental car that I am too delusional to drive….. and my children are not over 21, so they can’t drive it either. FUN! My husband figured he may as well take it to work and save money on gas…. and he rear-ended a nice lady who stopped really rapidly on the highway. IN THE RENTAL CAR. Can you spell deductible? So, my hubby took it back and got another rental car that looked exactly the same, except the seats were tan, not black. He came home that night and took his brother to the store. His brother mentioned, “I could have sworn these seats were black!” Um, yeah. Is THIS what we needed to be ready for? If that hoopla wasn’t enough to make my mother hit her replaced knees in fervent prayer, yesterday my hard-working son (who has a Jedi braid, but that is not crucial to the storyline) volunteered to spend his day helping his cycling team set up for a race last night. As if our family has big targets on our backsides at the moment, a loathsome individual made off with my son’s $8,000 bike. Yes, you read that right. A two-wheeled pedal bike… $8,000. He is sponsored. It is on loan to him. We did not pay $8,000 for a bike with which I can do one-handed curls. I learned about the lifted bicycle from my husband who left me a message on my phone while I was in my 6th doctor’s appointment to end the week. WAS THIS WHAT WE WERE SUPPOSED TO BE READY FOR??? Besides messaging me about the missing bike, my husband prayed. And then he posted a little ditty on facebook about the bike and asked others to pray. Because we know that prayer works. A friend of ours in Canada who was supposed to be paying attention in a business meeting, who happens to hate injustice and loves hardworking youngsters, went on facebook and read Rick’s message……. and bought a new bike for my son. We were close to speechless. A tearful thank you was all I could get out. What I loved about this was all the glory was given to God… in front of the teammates. By son and father, without shame. Maybe THIS is what we were supposed to be ready for? Be ready…. to live your life for God no matter what. Be ready …. to rely on God for everything. Be ready…. in good times and bad to praise God, for He is worthy of our praise. Be ready. My husband actually called the couch a chesterfield this week and he hasn’t even been watching Downton Abbey. I believe it was a Canadian flashback for him. I remember my Canadian grandparents using that term for the sofa, but not my husband! Meanwhile, back on the chesterfield, I have made several life altering discoveries. 2. My daughter and my niece hand picked lovely yellow and purple wildflowers, placed them in jars and brought them to my coffee table that holds everything I could possibly use while on the couch. I have spent long moments watching little bugs crawl all over the sunny blooms. A bit of wildlife right here in the living room. 3. Sunshine on my shoulders makes me happy. (Name that artist.) My front yard blooms are in their glory mode and I have spent time each day sunning myself next to their colorful display: royal blue lobelia, cadmium snap dragons and pansies, hot pink, pale pink, variegated and snow white Sweet Williams, four shades of purples in pansies, violets and violas, and a salmon pink geranium that has yet to open its glowy blooms for my pleasure. Vitamin D is a glorious bonus. My nature journal is calling to me to capture the array of colors. 4. I am the sole individual who wipes out the microwave. Sad but true. Come on over and have a looksie at a week’s worth of blown up food bits. 5. Ringo the wiener dog eats orange foamy earplugs. Disgusting. 6. I truly am a night owl. Even on narcotics, my best hours are from 11:00 p.m. to 1:00 a.m. However, this was aided by a total of six hours of napping today. I pray you are blessed with a full night of restful sleep while I am uninterrupted on the chesterfield. Yes, in the next hour or so, the hits on this humble blog, My Sister’s Jar, will surpass 300,000. The number is astounding to me. Let me give you some back history… several years ago (I just tried to figure out what year it was, but I’m 45 and can’t remember things like that… sigh) I attended a writer’s conference in New Mexico where there were several seminars one could take in. I perused the list and chose several… the ones I recollect include: contract negotiations, writing the perfect proposal, selling your wares to publishers, adding humor to your writing and narrowing down your pitch to elevator length. Distinctly I remember reading one particular description that caused me to guffaw and roll my eyes. Ready? It was simply titled “Blogging”. My thoughts at that time included, but were not limited to the following: Who would spend all that time writing for invisible people? Who would read some random person’s ramblings? How do people even find “online journals” to read? And WHY would anybody care what a stranger is writing? What is the purpose of blogging? And so on. And so on. That was during my PBL (pre-blog life). Upon my arrival home from the conference, my husband and I met with a couple whose lives are engrossed with computers and programming and podcasts and tweeting and a whole bunch of other techy stuff I do not understand. BUT, he explained blogging to me… and I didn’t stick in one little toe to test the water… I did a cannonball into the deep end of the internet writing swimming hole. Those questions I asked myself earlier about blogging have not all been answered. I still do not understand exactly where 797 people come from in a single day who read my blog. It is inspiring to me, and quite humbling, to be frank. I often ask my husband, “Who are these people?” When someone comments, I get a little hint as to who they are… where they are from… how they stumbled upon My Sister’s Jar. But those are precious and few. My prayer is that people will be inspired by stopping here to live life to the fullest and possibly take a jump into some of my favorite topics: family, marriage, laughter, writing, adoption, homeschooling, being a Christ follower, raising boys, sewing, traveling, gardening, losing weight, traditions, America the Beautiful, saving money, and being a mom. Updated Blog Links… FOR YOU! Sorry, the arrow is pointing in the wrong direction. Tonight I went through my terribly outdated and inaccurate blog links. Good grief. Positively archaic. Ok, well, I went through my web Favorites too… and added all the blogs I read regularly (and non-regularly) to the list. There are some talented writers out there in cyberland that could spark your interest in anything from blogging (duh! 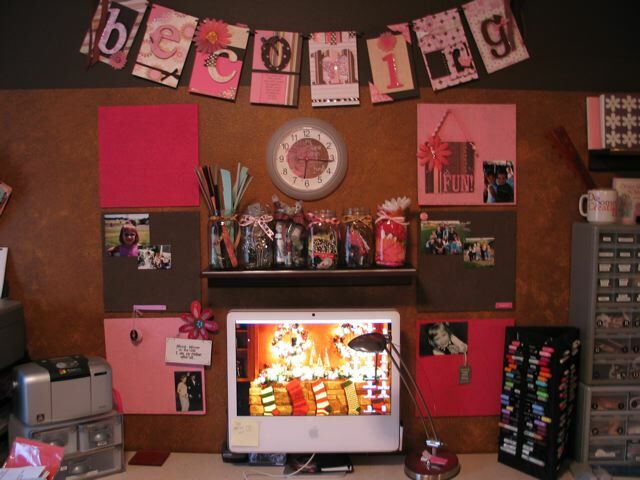 ), to writing, to homeschooling, to photography, to parenting, to sewing, etc., etc. Bloggers need to stick together and spread the word when we find other bloggers worthy of mention… and I’ve not been holding up my end of the deal lately. For that I apologize, but I have rectified the situation… dramatically. For your convenience, dear reader, I also commented on the links so you don’t go blindly to a site wondering why in the world I linked them. There are short descriptions so if you never want to hear another word about any of the topics near and dear to my heart, you can skip them in other people’s blogs. he he he. BUT, take my word for it, there is a plethora of quality information at your fingertips right over there in the right margin. Really. In October 2007 I went to a writer’s conference in New Mexico and was introduced to the wierd world of writers. Seriously, there are some over-the-top people who should really calm down a bit about their book ideas. Anyway, that is another topic for another time…. W A Y in the future…. when I’m completely out of ideas for blogging and there are no more question slips in My Sister’s Jar. Anyway, there were several workshops on blogging… to which I rolled my eyes and guffawed with gusto. Gracious me. Who wants to write and write and write… and pour out your heart on the web…. for people you don’t even know… and won’t ever know? Stupid. That’s what I thought of bloggers. What transformed my blogging worldview, you ask? I met with a gentleman when I was searching for a website designer. He suggested I look at blogging in addition to a website. I’m glad I did. It is therapeutic when you are waiting for an adoptive child for years and years and you find others who are waiting with you. And still others who have their precious children… and it gives you hope. There are also totally inspirational homeschooling moms who are not burned out and frustrated… and still coming up with great ideas and finding quality literature and sharing it on blogs. Awesome! It’s been two years and four months since I began My Sister’s Jar… and it still brings me pleasure to write and write and write and pour my heart out on the web for people I don’t even know and won’t ever know. :o) It’s that old-dog-new-trick thing again coming to bite me in the behind. I pray to inspire even a few! To what, you ask? Whatever they need! Encouragement to read every day, laugh every day, and be kind to your kids and your husband….. every day. That was my exciting news. My Sister’s Jar has now been brought to you for 365 glorious days. And look! You’re still here reading it! Wooooo hOoooooooooOooooo! Yeah for you! You’re the only reason I keep plunking these keys down. Seriously, it’s addicting. Just like diet Pepsi. No, worse. OK, that’s a toss up. A year and two weeks ago, I sat down with a techy guy (www.brentspore.com) and his wife at church to ask questions about websites. He started talking about blogging. I inwardly rolled my eyes and thought, “ph-shwaughaa!” He’s a computer geek guy to the nth degree. But as he explained what it was, how it worked, the benefits … I became a bit more interested. He sent me to worpress and I found my second home. As he now says, I’ve “embraced blogging with ever orifice possible.” It’s true. I was born to blog. Kind of like being born in the USA. You are or you’re not. That’s it. So here’s my big hat off to you….. faithful readers… for blessing me with comments and hits that truly bring a smile to this face. 35,000!!!! Who would’ve thought!?! Not me. SOOOOOO, since it’s my blog-a-versary, would you do me a favor and PLEASE please PLEASE let me know AT least where you are located???? No name needed. No private info will be traced. No tele-marketers will call you. I will not email you with chain letters. No hassle. Money back guarantee. Se habla espanol. I ask my husband every now and then when the hits at MSJ are high, “Who are these people?” I’d really love to know…. at least where you are… so if you’re in cold places right now, I can tell you about how warm it is in Phoenix. In the summer I can wish that I was where you are. Come on! Thanks to a fellow homeschooler/blogger, I’ve taken him up on his photo challenge. Last week he randomly went to folder number FOUR and chose picture number FOUR and shared it on his blog. He runs a secretive, anonymous blog where we rarely get glimpses of him or his family. And then when we are graced with a photo he removes it before we can gather the family around the computer and share the love. OK, my niece is NOT going to be happy about this tribute to number four…. AT ALL. 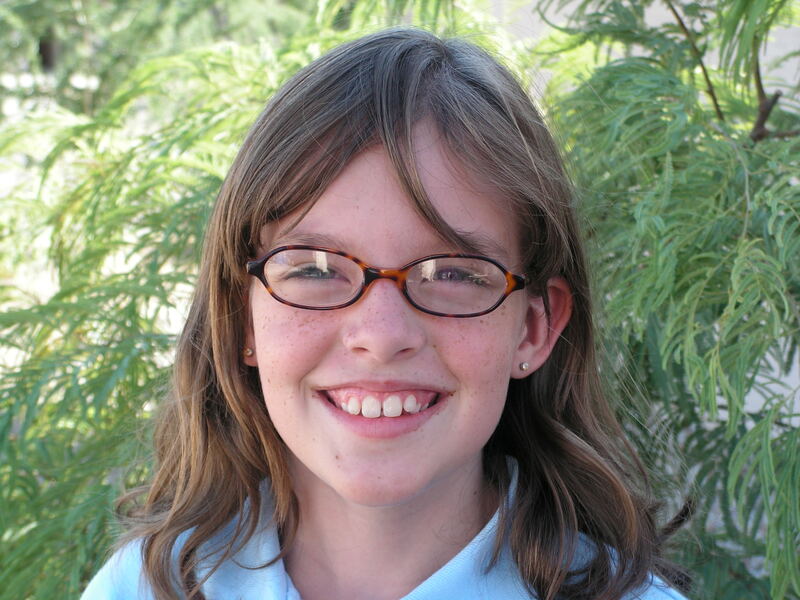 This was taken in 2005 and now she is a tall, willowy teen with contacts. Sorry, honey. But it was MoreThanAnElectrician’s fault. Let me try again with my other set of pictures ……. please stand by…… Here is a tribute to the number One… folder number one, picture number one. 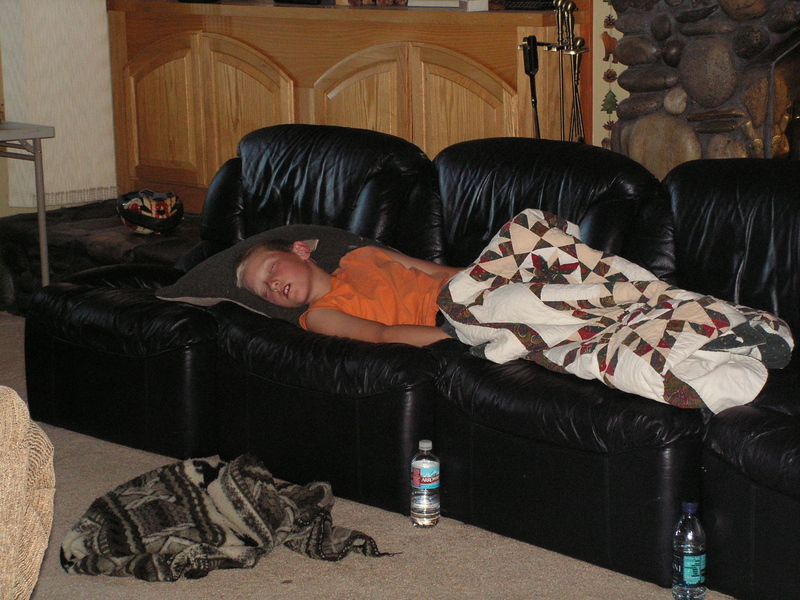 This is sunburned Austin fast asleep after a day of waterskiing at Lake Tahoe in 2007. He just saw this picture from last year and is not happy with the tribute either. I don’t think he’s had a haircut since this G.I. Joe hairdo. He’s more of a surfer dude now. Now that I think about it, I haven’t seen his forehead since 2007. I think a Thanksgiving haircut is in need.